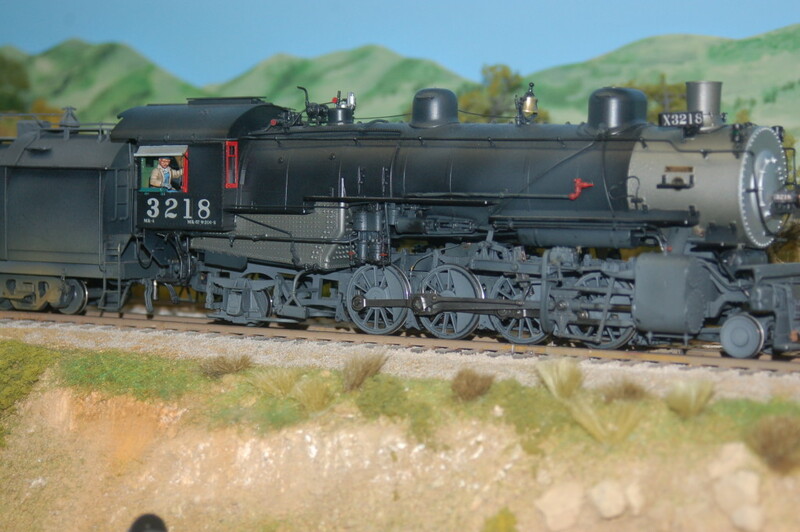 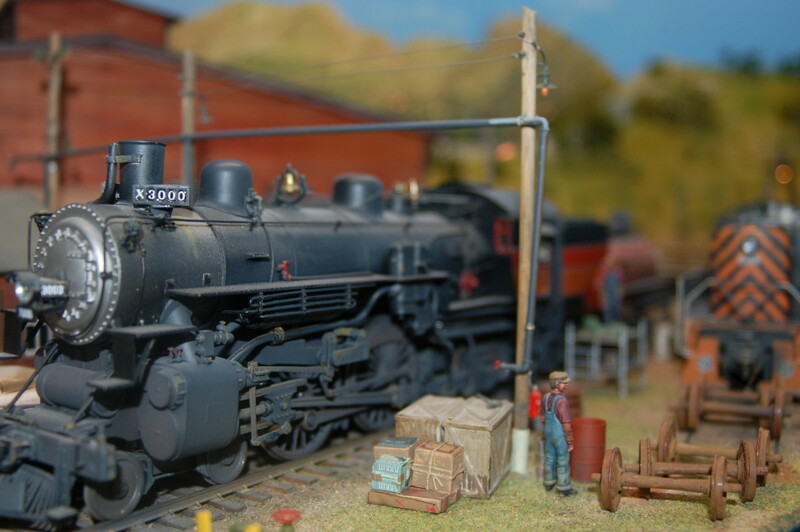 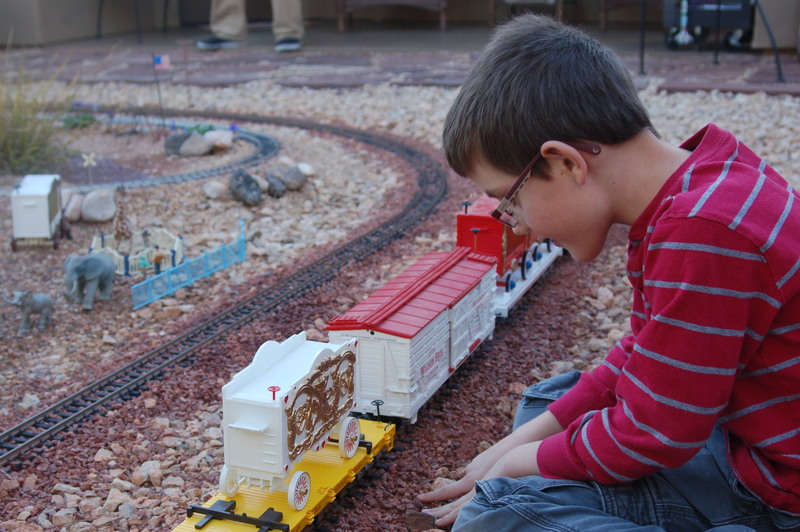 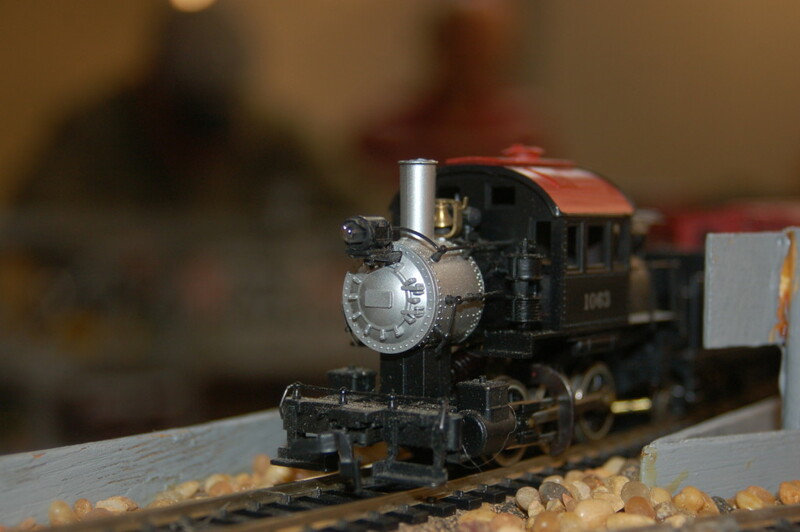 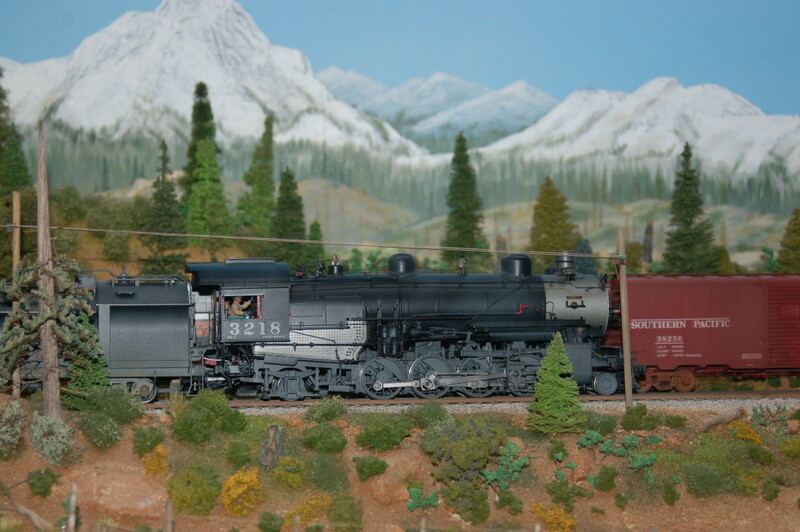 WASHINGTON COUNTY – The Color Country Model Railroad Club’s 2015 “Model Railroad Tour” officially opened Friday showcasing to the public years of dedicated craftsmanship, ingenuity and engineering. 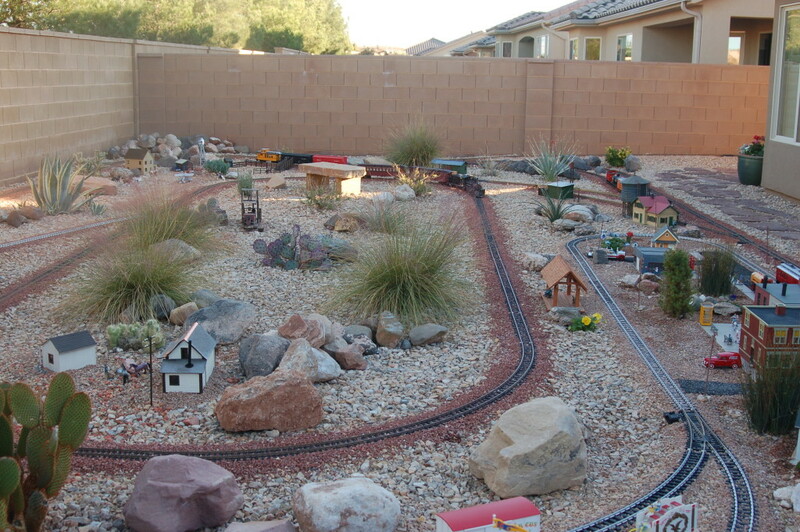 In the backyard garden of Tom Meyer there lies two developing cities that, as Meyers said, were looking for a way to generate more revenue for the people who lived in the area. 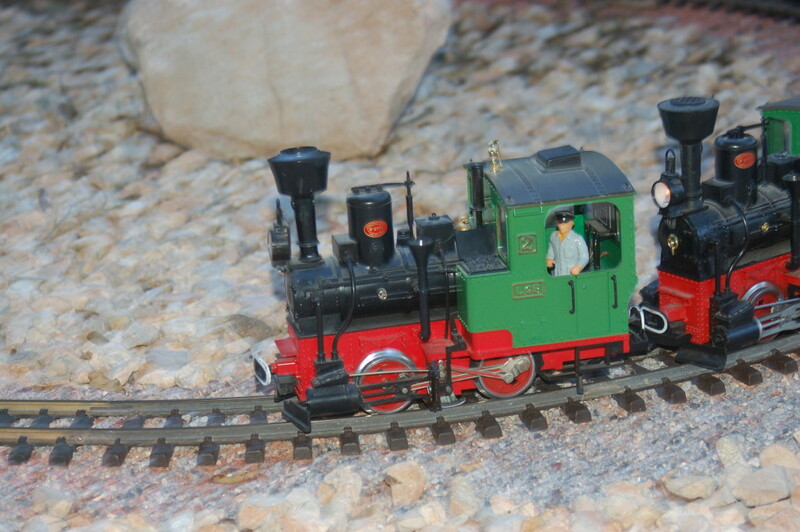 In order to transport goods as well as people between the cities and beyond, he said, the residents decided to build a railroad. 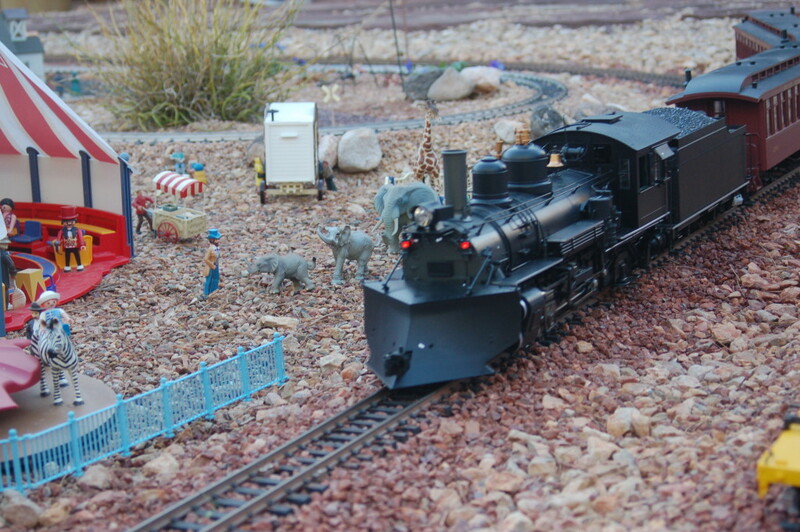 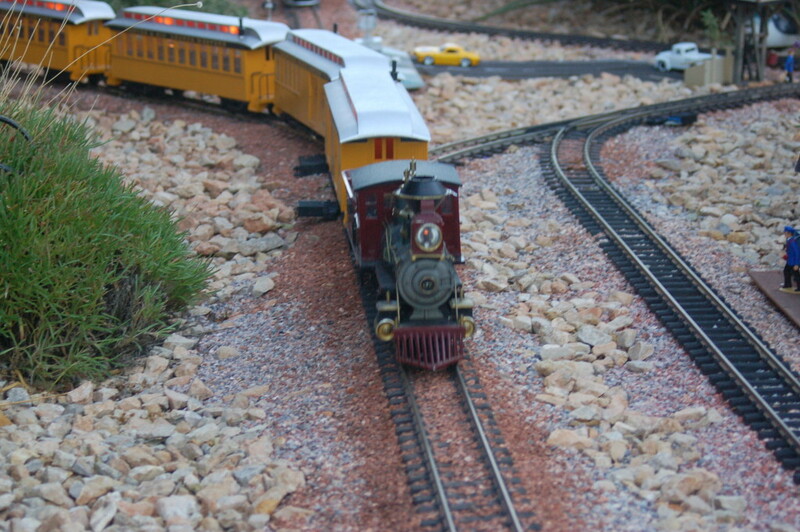 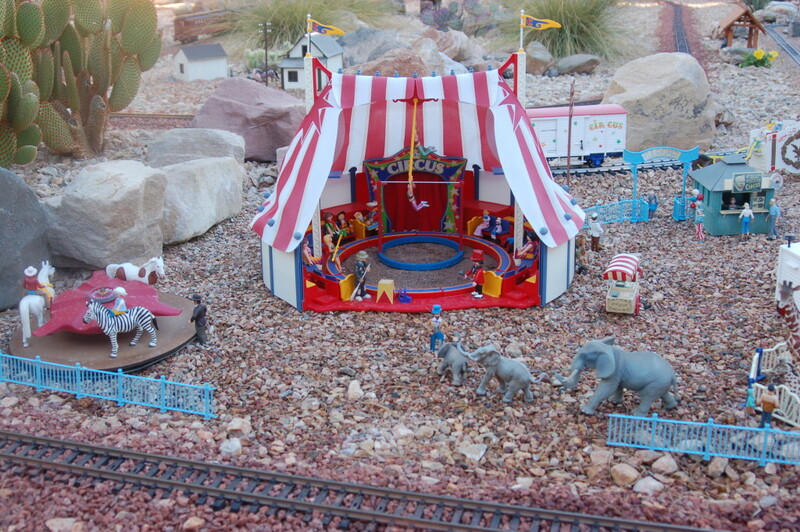 This G scale garden railroad features a kaleidoscopic circus complete with train and a wealthy horse breeder with a private landing strip on his ranch as well as many other details for guests to delight in. 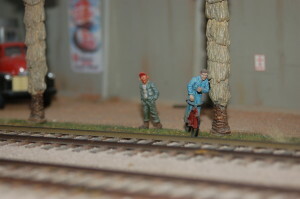 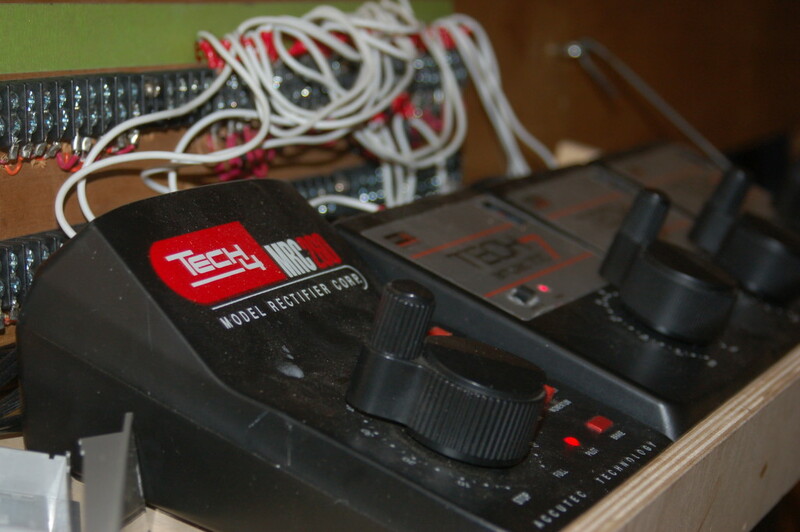 Meyers, along with his wife, work together on the layout that is still under construction; the couple have a mine planned for sometime in the future. 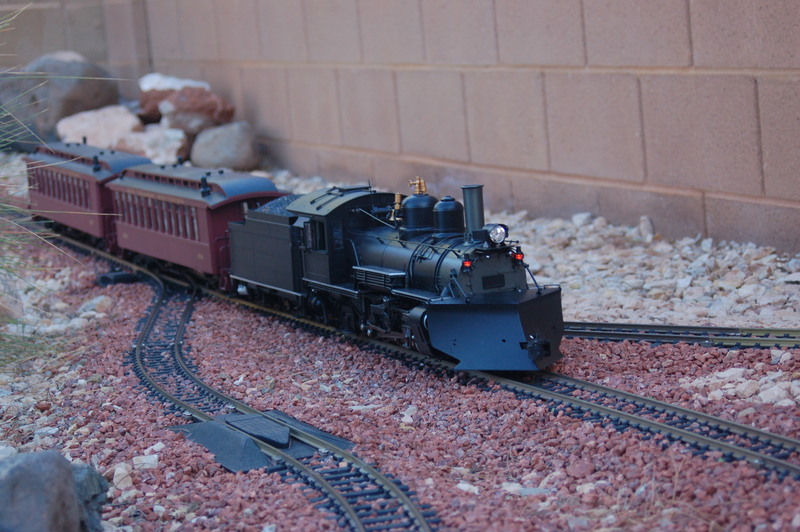 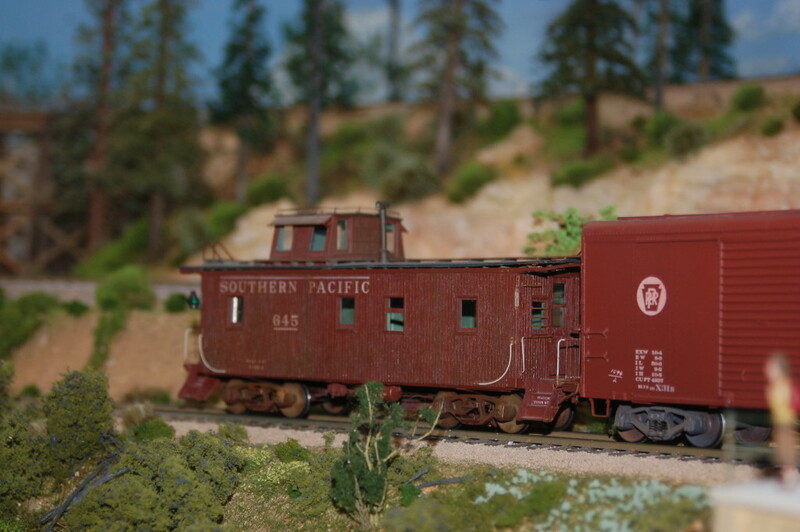 Meticulously modeled after the Southern Pacific Lines found running the tracks in central California during the mid-1950’s, the imaginary Palos Verde Division of the Southern Pacific is the work of Jim Harper and friends, according to material presented at Harper’s home. 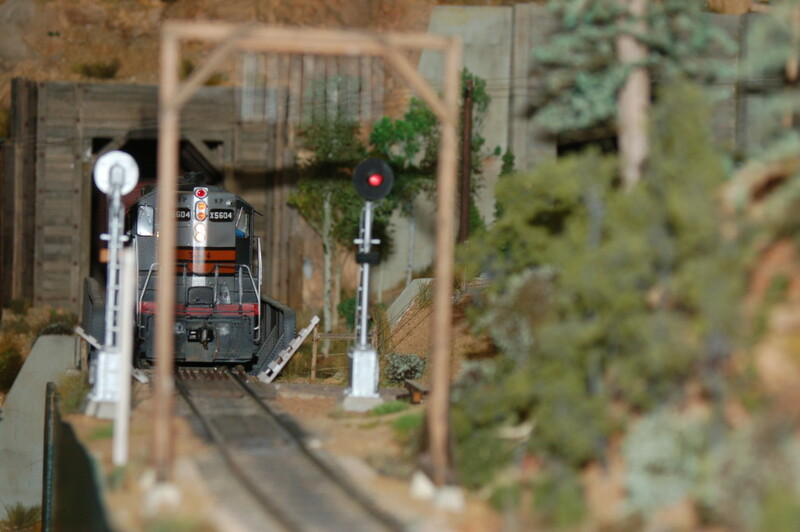 Originally showcased in a garage in Reno, Nevada, the reincarnated model railroad now resides in Santa Clara where trains traverse their way from the Pacific coast to the Sierra Nevadas. 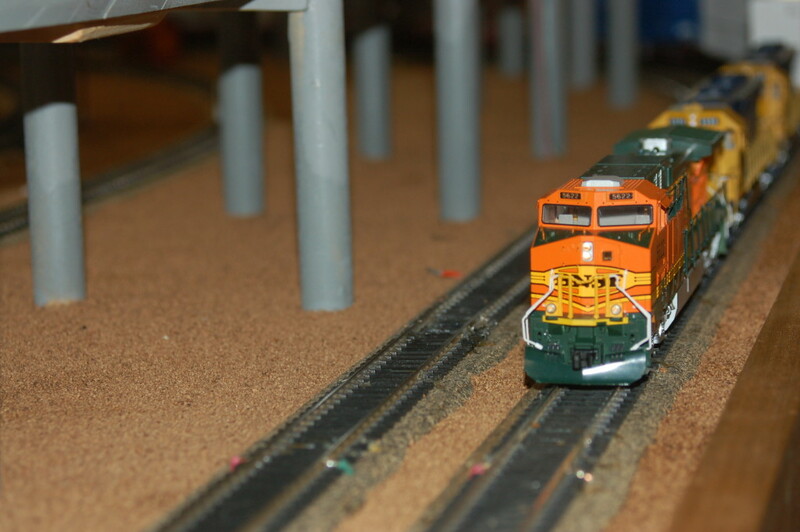 Harper said he has been a model train hobbyist all of his life and has put nearly 20 years into the current model railroad. Those four words could well be the theme of the entire train home tour as hobbyists and guests alike shared in the joy and nostalgia that the scale-sized trains invoke. 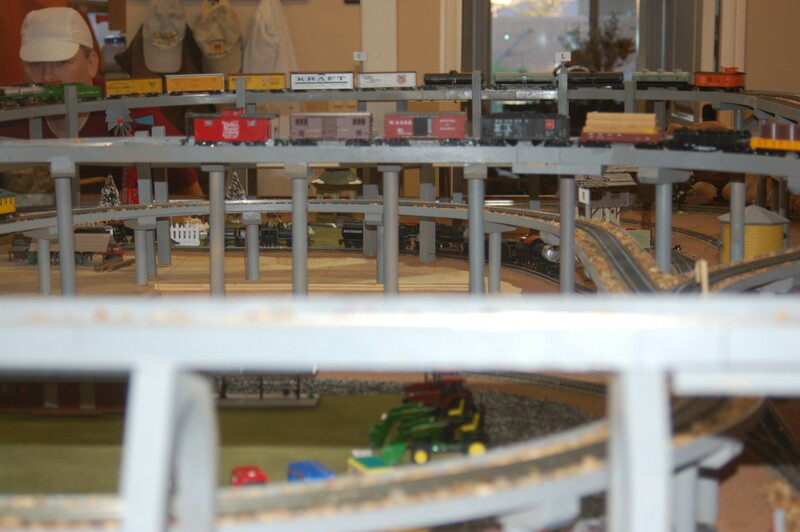 Schneider said whenever he wears his shirt it opens up conversations and helps to relive memories of childhood and adventure. 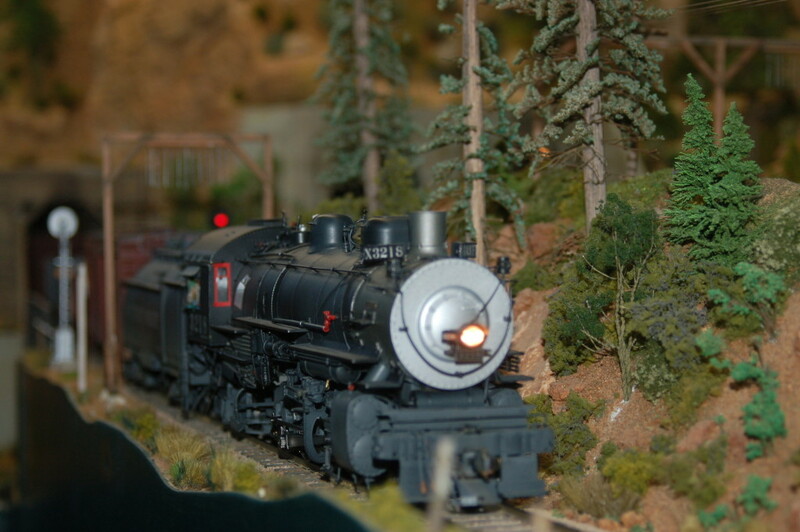 The “Model Train Home Tour” continues Saturday-Monday throughout Washington County and is free for the public to attend. 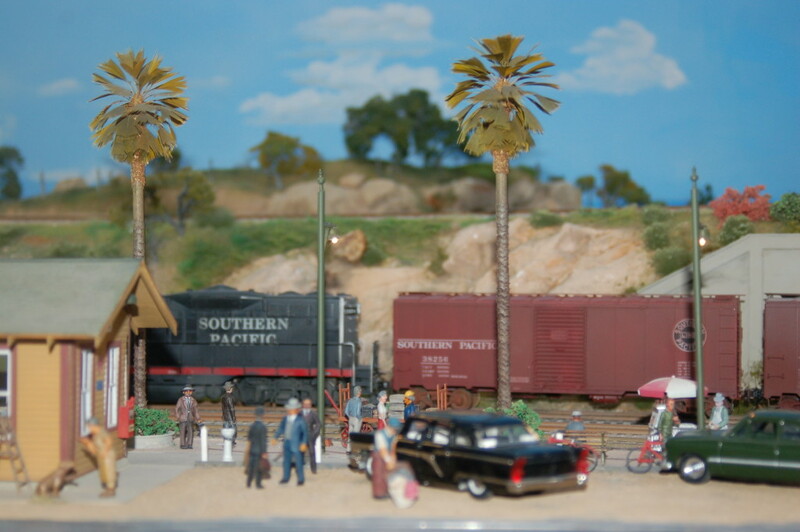 Click on icon in upper left corner of map for names of homes associated with each pin on the tour. 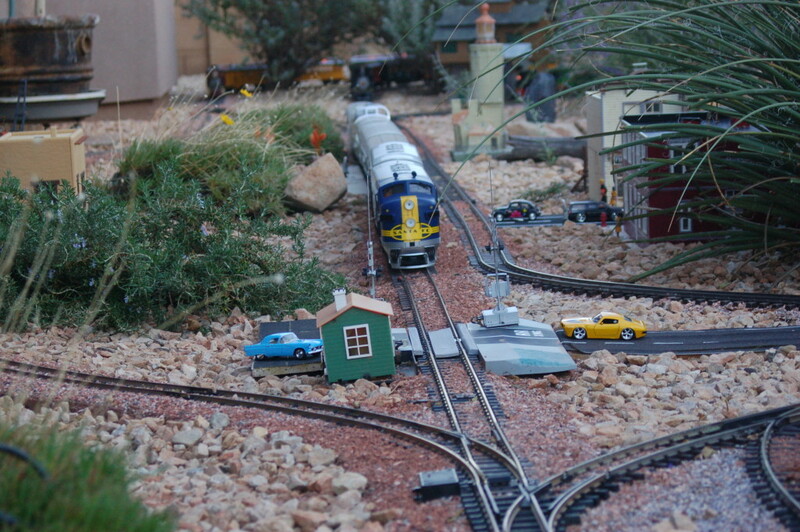 Map courtesy of Color Country T-Trak Club / Color Country Model Railroad Club.